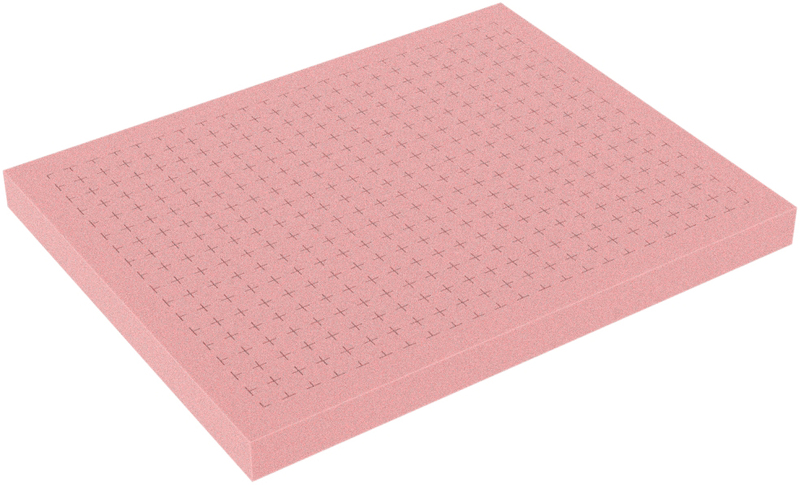 This foam is perforated with a raster of 14 mm x 14 mm (22 x 17 = 374 cuboids). A circumferential border is not perforated and increases the stability of the fitted foam insert. 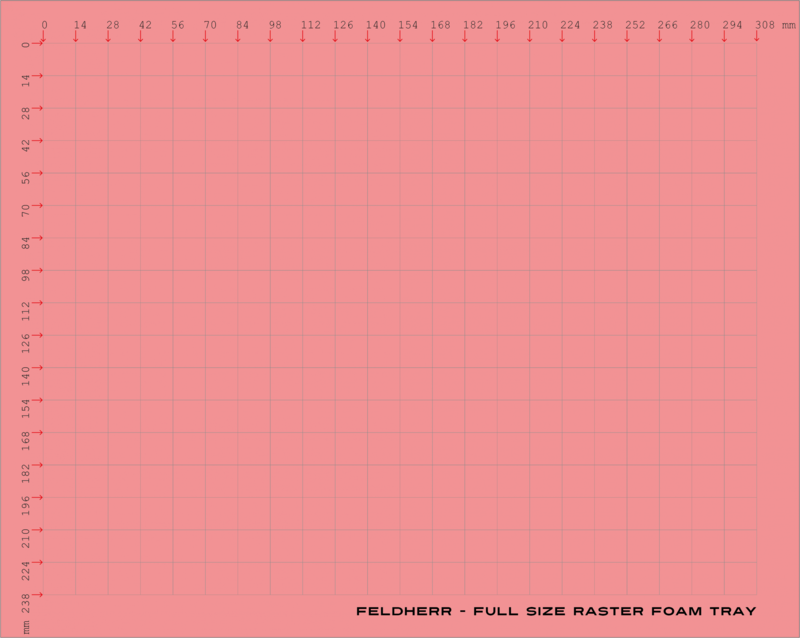 The grid allows the tool-free adjustment of the foam inserts to your needs. The article will be delivered without bottom foam sheet. As a bottom we offer for example the articles FS010BESD or FS020BESD.